Termites are a serious threat here in Southern California. Unfortunately, the local climate is an ideal environment for these pests, and California residents can endure thousands of dollars in damage if a colony gets out of hand. 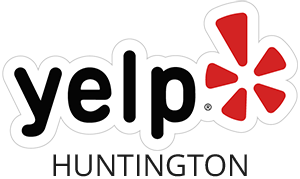 What’s worse is when an infestation occurs on a rental property. This can prove to be a property owner or manager’s worst nightmare, since it can result in costly damages, and your tenants may have to vacate their homes during an extermination, which will be even more costly. Beyond that, an infestation can even make the news, which may leave your property marred in the eyes of those looking for a rental property in the future. Termites are sneaky, and they prefer to remain in the enclosure of their colonies. In fact, termites are so sly that they often go unnoticed for years. It’s rare to see a termite outside of its colony (unless the colony is splitting, in order to form a new colony). Plus, termites seal off most of the holes that they create within any wood structures that they are consuming. 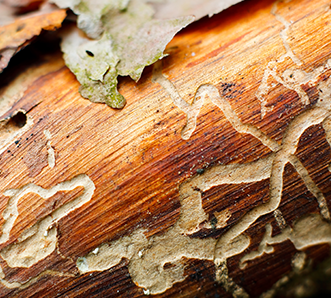 So, you may not know it, but termites may already be on your property. For this reason, we recommend that homeowners, property owners, property managers, and business owners ought to have their properties inspected once every year or two. A thorough inspection will reveal any termite colonies on your property, so that they can be treated before the infestation gets out of hand. Hire a professional to take a look at your property. We know where termites tend to access spaces, and where they like to build colonies. We also have specialized equipment that makes it possible to determine whether or not termites are on the premises. You can take measures to minimize the likelihood that termites make their way onto your property. We recommend that you create a perimeter protection with a chemical treatment around your home; we recommend that you remove standing water and loose wood from your property; and we recommend that you make it difficult for termites to penetrate the exterior walls of your home or building. Here at Hi-Tech Termite Control, we use a termiticide (an insecticide for termites) called Altriset®. Altriset is a compound that kills off termite colonies. Altriset can be applied in a perimeter around your property, and it can be applied on wood throughout the structure of your property. When termites come into contact with this termiticide, they carry the compound with them back to the colony. Altriset has a delayed reaction with termites who touch it, and it slowly kills off any termites that come into contact with this solution. In this way, termites can pick up the termiticide and transfer it to other termites throughout a colony, including the queen — effectively taking care of the entire colony. Best of all, Altriset remains active for nine years, which means that you’ll have lasting protection from termites. If you have wood lying around on your property or pools and puddles of standing water, then it’s best to clean things up to keep colonies from heading to your property to form a new colony. Be sure to keep firewood, lumber, and even outdoor wood furniture well away from your property. It’s a good idea to keep this wood raised off the ground to keep subterranean termites from finding it (though drywood termites can still form a freestanding colony). In addition, you shouldn’t have moisture resting on your property. Termites are attracted to moist environments, and they may begin their colony on your property if you have a water source nearby. If you have walls that are deteriorating, or exposed wood structures that are touching the ground, then your property is the perfect target for colonizing termites. Termites seek out easy-access to wood, water, and a climate-controlled environment. So, if the exterior walls of your home aren’t sealed tight, they may find their way inside. Make sure your siding is installed properly, and take a look around the foundation of your home for cracks that can provide access for subterranean termites. Seal up any areas that aren’t secure. It’s wise to let your renters know about the dangers of termite infestations. A quick email or handbill can do the trick. 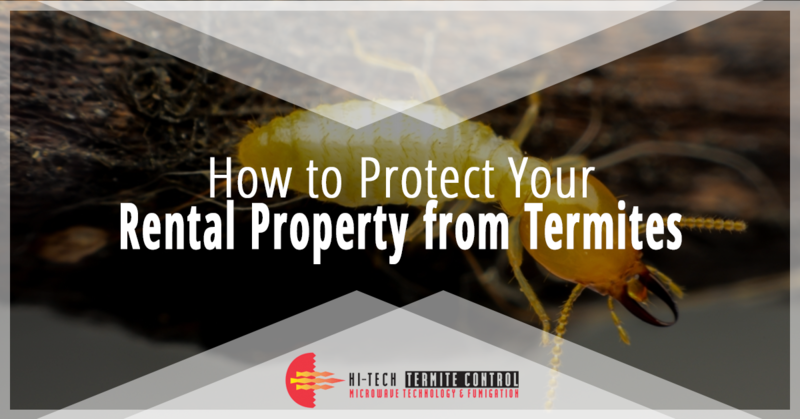 Inform your renters of the signs of a termite infestation, and encourage your renters to proactively prevent termites from making your property their home. Feel free to use our infographic to spread the word! Shed Wings: Termites grow wings and fly to new habitats when a colony splits. If your tenant notices that there is a pile of insect wings on the ground, it’s likely that termites have started a new colony. Wood-Colored Pellets: Drywood termites push their droppings out of small holes that they have along the tunnels of their colony. If your tenant notices wood-colored pellets piling up underneath some exposed wood, then termites are tunneling through the wood overhead. Damaged or Warped Wood: Given enough time, termites can devour much of the wood of a structure. With enough damage, your wood can become discolored (often, you’ll see black streaks), or it can bow or bend under the weight it supports. Act right away, since this wood may no longer be structurally sound. Mud Tubes: Subterranean termites create mud tunnels that span from the ground to their food source (i.e. the wood on your property). Have your tenants keep an eye out for mud tubes that are about pencil-sized in diameter. 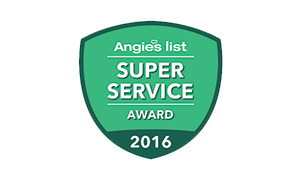 Let your tenants know that they can take actions to help prevent termite infestations. Make sure they don’t have loose wood lying around, or water sitting on the property. Also, have them let you know if the exterior of the property is damaged or walls are exposed to infiltration. Have your tenants inform you right away if they notice any signs of termites. Here at Hi-Tech Termite, we do things a bit differently than other termite exterminators out there. Sure, we offer traditional termite inspections and control services, but we also offer alternative termite treatments, so your tenants won’t have to vacate the property for an extermination. We provide microwave termite treatments that penetrate the walls and surfaces of your property, so that we can treat termites locally, without damaging your property or filling the space with noxious fumes. 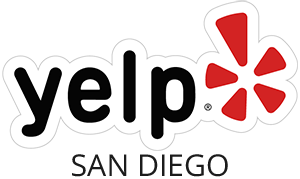 Learn more about our alternative termite treatments, and count on us for inspections, treatments, and control services. Give us a call today to get started!